Especially bright boys may be invited to take part in Election, the academic scholarship exam. Election is taken instead of the Winchester Entrance Exam. It is a unique and academically-challenging selection process involving both written examinations and interviews. Election typically takes place at the school over three days in the April or May of Year 8. 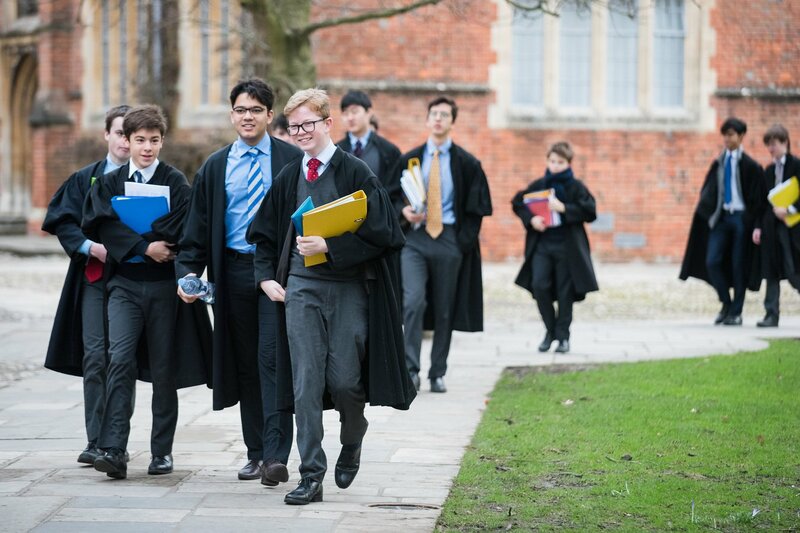 A Scholarship – boys are offered a place in College, the oldest of the school’s boarding houses. On joining the school, they are known as Scholars and are distinct by the gowns they wear. An Exhibition – boys are publicly recognised for their academic ability and accept their existing offer of a place in one of the school’s other boarding houses. Headmaster’s Nominations – an award where a boy has not previously been offered a conditional place at the school or been successful in gaining an Academic Scholarship, but whose exam results are strong enough to gain a place in the school. He will subsequently be offered a place in one of the school’s boarding houses. Unlike Bursaries, an Academic Scholarship, Exhibition or Headmaster’s Nomination does not automatically carry a remission of school fees. Further information on bursary support.